Nicaraguan cigar lovers have good reason to rejoice. 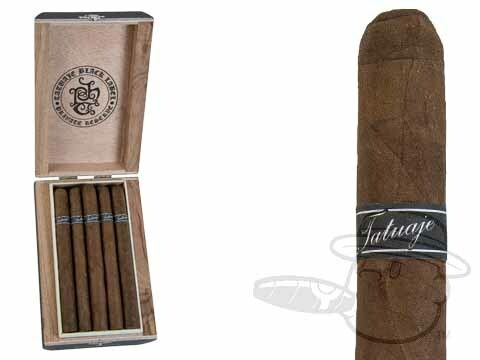 A hearty Nicaraguan puro with a sun grown criollo-seed wrapper from Estelí over select Nicaraguan fillers, Tatuaje’s much-coveted Black Label cigar is now an ongoing production cigar. This bold blend was a smash hit in its previous incarnation as a limited edition series, and now it’s here to stay, in a range of expertly crafted vitolas no less. Now you can capture the Black Label’s strong and savory tones of cocoa, espresso, leather, and peppery zing in your humidor any time you please without fear of running out!